Honors students are wonderfully diverse, but they all bring intelligence, passion, achievement and motivation to their pursuits. 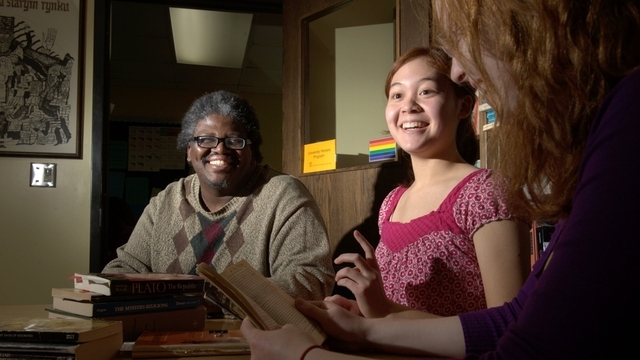 The University Honors Program exists to help students achieve their highest potential. 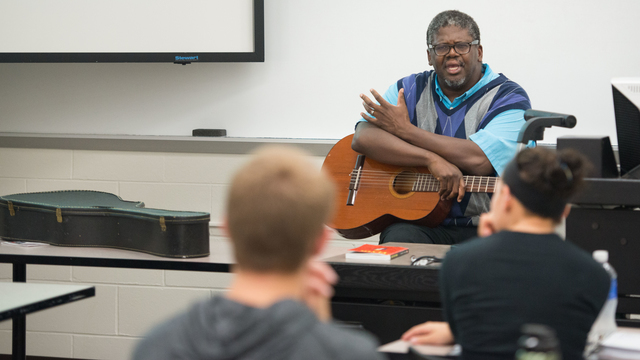 You won't do busy work in Honors — you will pursue creative ways to learn as you become fully engaged in life on campus and in the greater Eau Claire and Wisconsin communities. The foundation of our University Honors program rests on the strengths of the expert faculty who teach our Honors courses. Add in the students and faculty who serve on the University Honors Council, and you have a program with focus, direction and compassion. The faculty and staff members who choose to teach and work in the Honors Program are particularly dedicated to their calling, and to you. They care about your academic success and are eager to help you achieve all of your goals and dreams. Behind every great Honors director exists a great Honors Council. The members of the University Honors Council, both Honors students and faculty members, consult with the director and advise on the future of the Honors Program. To excel as a signature UW-Eau Claire program and become a national model for innovation and excellence in Honors education. The UWEC Honors Program provides highly motivated, high potential students with a challenging and supportive learning community that allows them to develop their distinctive abilities, creating a foundation for high-value intellectual, professional, and personal achievements in future settings. Provides learning experiences where EDI and civic learning are applied to a disciplinary or professional context. Supports and promotes intellectual, scholarly, and creative achievement; innovative teaching, active learning; and student-faculty collaboration across the university.